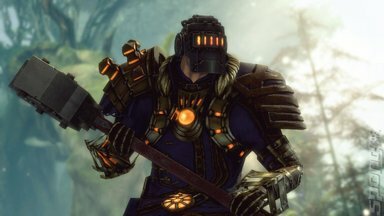 Guild Wars 2 has been a phenomenal success since its launch in August of 2012 and developer Arenanet has promised to keep producing content for it long after its release. True to its word, the team has done this consistently, to the point where the developer is now on the brink of releasing its first official expansion in the form of Guild Wars 2: Heart of Thorns, due sometime this year. Chris O'Regan chatted to Isaiah Cartwright, the lead game designer for Guild Wars 2, and John Corpening, who is the game director for Player vs Player (PvP) and World vs World at EGX Rezzed 2015. SPOnG: John you're dealing with the PvP aspect of Guild Wars 2 and I've always been intrigued by how the game has a PvP aspect to it. How do you encourage players who are more Player vs Environment (PvE) orientated and say 'don't worry you won't get destroyed in 20 seconds when you start this'? I want to hear from your own words what you do to encourage players to experience all of what Guild Wars 2 has to offer that's not just hitting more rats? John Corpening (JC): Ha! Well this is an excellent question and it's actually one that we've been trying to answer and evolving since Guild Wars 2 was launched. Last year we made a big change to PvP and the reward systems and the gear. It used to be that it was split apart from PvE, but then we brought them all together so when you're in PvP you're advancing your character. You're gaining gear and you're gaining experience and you're also getting things you can use throughout the entire game. 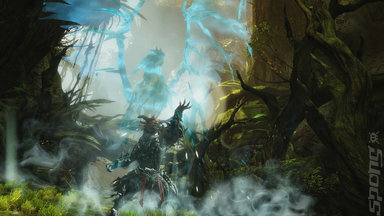 This is part of the evolution of Guild Wars 2 as we develop it. Just recently we created a more streamlined system to get in to PvP so now when you enter Guild Wars 2 it is very clear as to what you should be doing. It tells you where the practice is and you can switch between teams, you can spectate. You can see what people are doing and that's a great way to get in and get your feet wet, right? We also have unranked arenas where people can play PvP in a way that demonstrates what we at ArenaNet want players to experience in this mode of play, but you don't have to worry about your standing in the leader-board. If you're ready to make the next step there are ranked arenas that allow players to fight for their position on the leaderboard and play more competitively that way. 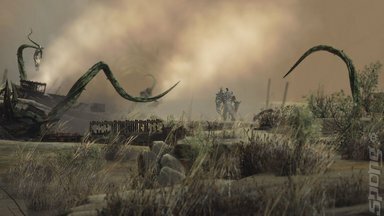 SPOnG: The big fear amongst PvE players is the idea of earning one's right to stand within their ranks and not be the bad player. A PvP community can be caustic, especially in MOBAs as their players are extremely hostile to new players. The developers of them do their best to stop this environment, but it happens. You're saying Guild Wars 2 has a method by which players can try it without too much risk and if they like it they can carry on. JC: Yes, there are areas in Guild Wars 2 where you can try PvP out. Another thing I really wanted to mention was that the system we have developed will try to figure out and find players that are around your same skill level. One thing I always encourage players to do when they come in is understanding that it's OK to die. PvP players are fine with this, they don't worry about it at all. So to address this with PvE players I tell them don't worry about dying; it's just part of the game. Also, losing is not a bad thing because it's helping the system find where you're at so it can find players that are around your skill level so you won't be destroyed all of the time. This means you'll be playing with people you can stand toe to toe with and that way you can work on your skill to the higher levels.